Every person is affected daily by countless relationships of one kind or another. Some are enjoyable and encouraging, while others drag us down and hurt us. 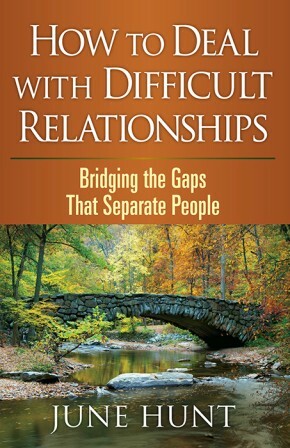 What can we do to make the best of the difficult relationships and resolve the problems that arise in them? This newest addition to June Hunt’s popular Counseling Through the Bible Series maintains the exceptionally high standard of biblical and practical excellence that June is known for. Readers will find themselves powerfully encouraged as they seek the path toward harmony, better communication, and Christ-centered solutions in their problem relationships.